He was only good for a short part of the game, only after Rashford moved to right wing and he was moved in the middle. Didn't do anything in the second-half and got taken off for a reason. Rashford didn't move to the right wing, we played 4-4-2 diamond. No one did anything in the second half... And we stopped getting the ball to him. Fact is, he was very good in the only part of the game that we played well... Thanks in part to him playing well! Great player but simply can't run at this level anymore. I think he needs a move to a slower league and a team that either has the ball all the time or sits so deep he can be their #10 and try to hit longer passes and make late "runs" into the box like Sneijder did for Mourinho at Milan. Should be one of the first names out the door in the summer. He's a nothing player. He's a Wolverhampton/Leicester/Valencia/Marseille level of a player. Love him to bits, but he needs to move and have a few years as a permanent starter in a club like those i mentioned. He is a class act and has had a very respectable career. It's quite amazing he's still at the club. He should have been binned a long time ago. Ole doesn't have much option for RW and RB. Buying RW and RB should be the main priority. Mata and Young should not be starters for us next season. That said, I am very happy to keep them both as a regular substitute for their experience and tactical tweak. Mata should never, ever be played as RW again. If he is ever going to play for us, he should play the number 10. He's crap. If he could run and hold off someone he will be ahead of Lingard or whoever else is there. One of our better performers yesterday. But ultimately we need more quality and he's one who may need replacing. We should let him go. We need to.move on. Was pathetic watching him cover ground with the ball yesterday, so slow. He is still one of few smaller players in the league who is brushed off the ball without ever being given a foul. Will Hughes got a foul whenever he lost the ball, and I am not sure either were correct calls. Pogba played a through ball to him during injury time in first half yesterday and instead of taking a touch inside the box to continue going towards goal he cut back with the ball and good chance wasted, no pace or directness for a counter attack game. 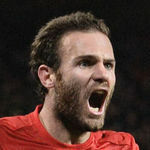 Like Mata but think time for him to move back to Spain or slower pace game. I understand criticism around Mata and I feel he won't last for too long here. He's a player who has lost with time that aggressiveness and incisive play he had at Chelsea, and starting him regularly as a 'false winger' makes us a bit antierotic in attack. The less we should expect from an attacking player at United is actually that he's dangerous in attack, and each season he seems to become more and more conservative on his game. With that said, I think he's a good team player that can be useful at times, even more now we're pending on a thread as a team. One of our main problems is that we don't seem to have the right physical preparation and energy levels. When Ole came we attempted to press high and intense from the start, and after 60-70 minutes we looked knackered on the field. These tactics were not sustainable to play twice a week in three competitions and I think the staff have been calculating efforts more each time. There's also a problem, as we're useless as a team at passing the ball and moving it with efficiency all around the field, so after giving it away for free time and time again the team end up running x2 and we don't have any control of the game. In this context a player like Mata is like an oxygen ball. He's an intelligent man with a top technique who gets into the right spots and offers a safe option to pass and keep the ball. He moves all around and keeps it ticking for us which give us better stability during games. From that point of view I think he "plays well" many times, with that cup game vs Chelsea away being a masterclass even under immense pressing from their players. People call him slow but yesterday again he got the ball and released it quickly and fine which allowed us to build our few attacks. He was at the end of it a pair of times but he didn't get a proper pass to finish. For all his flaws and even inside the collective disaster, yesterday he was one of the few who looked like a professional footballer. The problem as I said at the start is that we can't play regularly an attacking player who rarely makes the difference in attack, so I'm not sure about the convenience of keeping him. Probably as the team improve and become physical and technically apt his presence will be less needed, but at this moment I totally understand why Solskjaer gives the man minutes. And based on that I think he's doing it fine. He didn't slow us down at all yesterday... He was actively helping us with our counter attacks... He would have scored from one in fact had Martial completed a fairly simple pass. He cut back so he could be on his stronger foot for the shot... Again this has nothing to do with pace on the counter, as he literally was in the box for the counter... He just made the wrong decision, which all of our attackers were guilty of yesterday. I swear people are just taking a fact (that Mata is slow,) and are just criticising him for it, despite it not even being an issue yesterday when he was at 10. Finally someone to properly exploit the #10. Added secondary creative arsenal to our attack. A nice option to have if we undergo same situation where Pogba is heavily marked/out. Sadly cannot last for many minutes. Minimum of one half/45 mins?? I really hope this is not true. So frustrating. We don't need to keep around players like him who never play and are past it on big wages. Sigh. He’ll contribute if he stays as a squad player but think he’d be doing us a favour if he leaves. It’s time to move on and can’t keep persisting with all these players. There's no reason why he shouldn't be ahead of Lingard in the pecking order at the moment. Would have been ideal to come on yesterday and give some creativity in the final third. A much better footballer than Lingard. Matas playing because of his name now, im sure theres a kid in reserves who would give us the same. Always looking like he's running in sand. Have to get rid this summer. The excuse is he never plays in his ideal position but when he does he is often poor. Sloppy passing and lack of quality. He's not good for much but his passing is usually decent even if it is unadventurous. He couldn't even manage basic passes today and his play slows us down so much. Still can't believe we offered him a 1 year deal. Needs moving on. Lingard is an abysmal excuse of a footballer. Young is as useless as Lingard but even worse at running about a lot. Mata fits in somewhere between them two. This guy should be nowhere near this team, if he was truly offered a contract extension then that's disgusting. He has to go. He's shite. Gee, where have I heard that before? Oh, pretty much half our team could have the same said about them. Can anyone really tell me Angel Gomes couldn't do what Mata did today at the very least? The West Ham players literally walked past him and less said about his impact on the ball the better. I thought he tried to run and make moves, but we got no linkup between players. He is so bloody slow these days though so he can't really do much on his own. Did beat a man with a nice move though. He still god some nice skills, but premier league pace is too high for him these days. Should move back to spain I think or to Italy. It's a bit depressing starting an attacking player that you know before the game will never get a goal, an assist or ever take on a player by the end of the game. Has become as nothing player as Lingard. Barely does anything to even notice him playing. He's as invisible as Lingard these days. Shouldn't be offered a contract. Tbh I'd rather Greenwood gets match time / is our bench option than Mata. Kid will only get better and Mata doesn't offer much these days. He needs to get game time because at this moment he is looking like the only player with some technical ability to make a pass. And I haven't even watched all that much of him. Offering him a new contract is just idiotic. Take the loss if we can not secure a transfer fee and move on. Never the right player for Utd, a panic buy hoping to save the Moyes season and still here years later, Utd in a nutshell of the last 6 years.